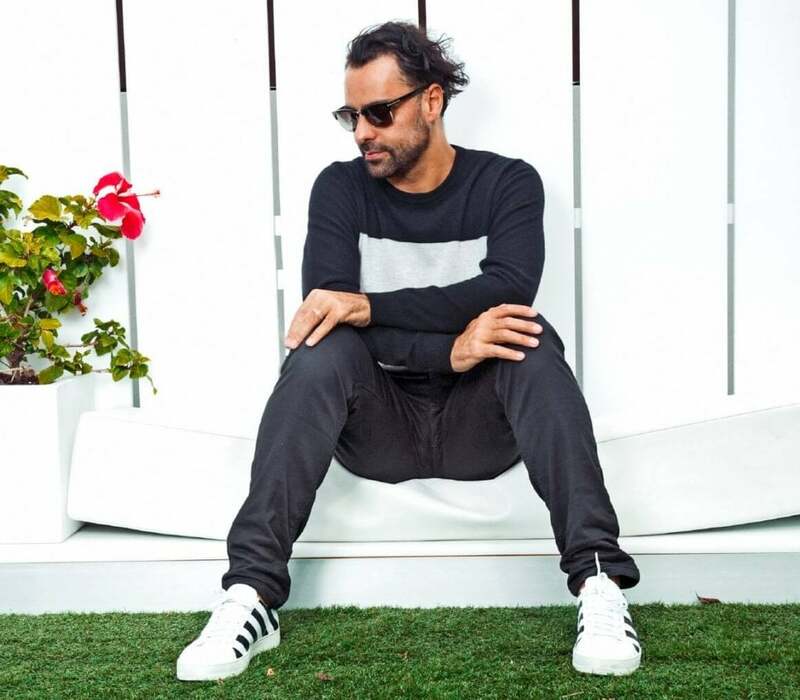 Simply one of the biggest names in dance music, Yousef always has something interesting to say. From being one of the first international DJs to play in Damascus, Syria, to his infamous ‘Circus Reworks’, Yousef has never strayed far from the pinnacle of house music for over 15 years. With releases on Crosstown Rebels, Hot Creations and Knee Deep in Sound, as well as radio show with over 20 million monthly listeners, we thought it was high time we caught up with the Liverpudlian himself ahead of his set at Muzik this Friday. We’re loving your new Tools EP on Circus Recordings. It must be great having the confidence to put out tracks that are primarily aimed at DJs, particularly on your own label. Do you think that things have changed over your career, perhaps in the way that many more people enjoy DJing these days? Thanks a lot, but to be honest it was a break from releasing more poignant or story led tracks like ‘Vanity’ on Crosstown Rebels (which was a song written by me) and went on to have 5 million views…or ‘Life is Too Short’ on Knee Deep in Sound, which was never meant to be a club track, just an experiment to distribute some personal emotional residue I had building up. So I added drums, Hot Since 82 signed it, and next thing you know it’s everywhere…So making these “bangers” – although experimental in their own way – was refreshing, to make it just for the dance floor, with not too much of a story (sweetness does not have an arrangement signature, it comes and goes as it pleases). Yes, the way people consume music or enjoy DJing has drastically changed, the life span of a release now is almost pathetic. BUT, you can still break through with the right track. The attention span of the audience is short and that can mean you have to adhere to their needs. But the deeper I get into my career, although I know I’m an entertainer, I’m much more artistic, so I always try to do what matters – it’s vital for me to be the best I can be, rather than do what is enough. Do you feel this has had a positive effect on the dance music community? In terms of the size of dance music yes. It’s a massive global industry that is ever evolving, where many many people are having a great time calling it a job, good for them! People are always trying to be down on dance music, splitting genres, saying they are the best, he’s past it, they are hot, blah, blah, blah. I say if you are positively contributing to any part of our lifestyle or scene then it’s a very good thing. The funny thing about dance music is many of the most prominent music, event and label reviewers are less than 24 years old, with the greatest respect how can someone who is younger than the scene understand its heartbeat? They shouldn’t have the responsibility to review unless they are fully seasoned – as the depths of time and energy invested into making music, DJing, events (for the real lifers) is vast, and should be acknowledged with every letter typed. What do you think of Or:la, Liverpool’s latest DJ export? She’s making some extremely interesting music, well made too. Your night Circus has just entered its 15th year…How were the big b’day celebrations in Liverpool? You’re doing a huge party on Easter Sunday with Patrick Topping, Joris Voorn and many more. Motor City Drum Ensemble too, how did that come about? You book such a range of DJs at your nights, there must have been tons of disco played over the years. Yes, Circus is mainly house and techno but has had people like Laurent Garnier, Moodyman, Kenny Dope, myself and many more play across the board. It works on the right occasion for sure. Are there ANY DJs you’re still hoping to bring to Circus? I think I’ve booked everyone now, a few of the bigger techno guys still need to show up but that’s all soon. UK wise I’ve played every city many times over I think, Sheffield I’ve been playing since I was in my teens I think! It’s been a while but I’m looking forward to being back April 27th, I always get a great reception. Circus’ ethos is “entertainment and enlightenment”. Where does this religious tone come from? I made it up over 15 years ago. It means our musical policy has always been great new music, not something super noodly. Pushing the boundaries but still always being realistic about filling a club. I have a very wide pallet for music, but I can’t book it all as we will lose money – Circus has lasted because of that slogan. Is transcendence something you aspire for in all your DJ sets? We can’t wait for your set at Muzik, it’s been a while since you played Sheffield. I see that you made your break by winning a DJ competition for the now defunct Muzik magazine as a teenager! Funny how things come full circle isn’t it? Yes I broke through by winning a mixtape comp with 1000s of entries, it was a long time ago but the mix is still rocking, it’s on my SoundCloud. You’re playing with Steve Lawler and Josh Butler, have you played with them before? Steve, I’ve known for 20 years, we are friends, he’s played for me many times and we’ve released on each other labels. Josh I met recently, nice guy! Not to forget L&F Projekt, the Muzik residents, have you checked out their tunes? Sorry no, but I will! You’re heading off to Asia for the first time in a while after Muzik. How’s the party scene over there? Yes, it’s been a few years since I did a 5-week tour of Asia, which is usually epic, but way too long. The scene is good in places, and amazing in others, fortunately I’m going to Japan to play EdC Tokyo and Womb, so both will be unreal! Congratulations on the second child! You glad to be getting back out on the decks? It breaks my soul to leave them for a moment to be honest, but leaving for a day or two is also the only way I stay sane too! Having children is beautiful insanity. I love it! Great chatting Yousef, see you on April 27th! 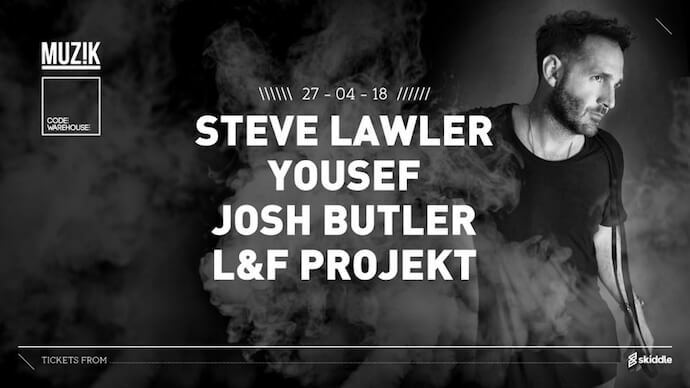 Yousef hits Muzik at Code Warehouse this Friday April 27th alongside Steve Lawler, Josh Butler and L&F Projekt. Tickets are available here from £16.50.